In a mythical land between the sun and the moon, three mysterious ladies serving the Queen of the Night save Prince Tamino from a serpent. A fantastic journey begins, Tamino falls in love with the Queen’s beautiful daughter Pamina, kidnapped by the evil lord Sarastro. 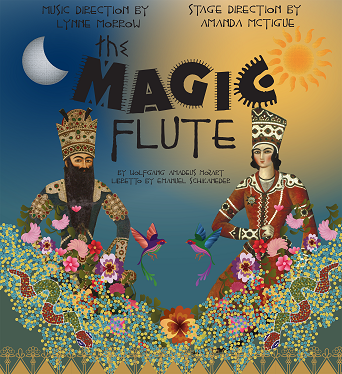 The Magic Flute has it all – lovers falling in love tortuously through discovery and challenge, bitter hate-filled ex-spouses, power struggles, juicy villains, and mystical beings descending from the skies. As magical as the flute it celebrates, Mozart’s final opera is beloved for its blend of fantastical storytelling, appealing characters, Shakespearian scope, emotional range (from silly to wrenching) and, always, the exquisite beauty of its music. ASP Tunes @ Noon ft.
Come celebrate Hispanic Heritage month with us and other organizations at this month’s Tunes @ Noon! There will be traditional dances and activities done in the Seawolf Plaza, see you there.